Approaching the people you want to date has always been one of the most awkward and frightening experiences. People are naturally afraid of rejection and that’s why they want everything to go as smoothly as possible. Of course, most of the time that’s not the case. While it may be a little bit easier to approach people on an online dating site, being rejected there can also hurt pretty bad. Most of the time people get turned down simply because of their poor and pushy approach to wooing. That is exactly why we decided to help all of you online daters to create the best possible approach and be as successful as possible in this little thing we call the online dating game. Check out these tips on how to make the best first step. 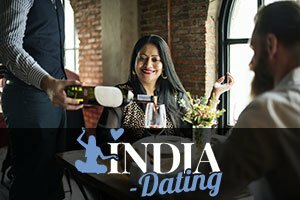 A wink or some other subtle sign of interest can be quite effective in real life dating, but on an online dating site, you can easily come across as a very lazy person. It basically means that you’re sort of interested but you’re not willing to do anything about it. No one really wants to date people like that. So, if you really like someone you should be able to put in some work and compose a nice, casual and clever first message and in that way show how interested you really are. You can’t expect the person you like to do all the work. That’s not dating, that is called being lazy. Don’t be a coward and take the matter into your own hands. If you tell them how much you like them in a well-constructed message, they will know how to appreciate the effort. Even if they’re not exactly interested, those people will have enough decency to turn you down gracefully. So you have nothing to worry about. Everyone likes people who can make them laugh. So, if you’re able to make your crush laugh, you’re practically half way there. The most important thing you have to do when approaching the person you’re interested in is to be casual and funny. No one likes a grouch or a person who is too serious and too formal. An online dating site is a place for fun and casual conversations, so keep it that way. It’s best to start with a joke that is based on your mutual interests. If you have the same taste in books, movies, and music, you are in for a slam dunk! Please don’t start your message with something like “I think you’re gorgeous”. It’s not bad or offensive, it’s a nice compliment, but it is somewhat cheesy. If you want your crush to notice you, then you have to be different. So, instead of mentioning the outside look, you should talk more about your mutual interests or generally the things you have in common with that person. Then, after you get to know each other better, compliments about physical appearance become even more effective. There you go, people, some simple tips and tricks on how to approach people on a dating site with some style.